Since American President Donald Trump took office at the White House, the U.S. China relations have been embroiled with subtleties and confusions, uncertainties, disputes and conflicts surfaced unexpectedly. The direction of the Sino-U.S. relations is a matter of major concern among visionary people who care peace and friendship between the two countries. At the backdrop of the complexity, the Fourth US-China Outstanding Contribution Award Ceremony and China Puerto Rico Investment Forum were held and concluded at San Juan Convention Center, Puerto Rico on March 1st, 2017 with the national anthems of China, USA and Puerto Rico. We have once again strengthened bilateral ties and friendship by recognizing people who have made outstanding contributions to safeguard the interest of both countries. Over 300 distinguished guests from China, USA and elsewhere attended the event. They witnessed the spirits of the honorary recipients of the Fourth US-China Outstanding Contribution Award, shared and enjoyed their glory and joy. 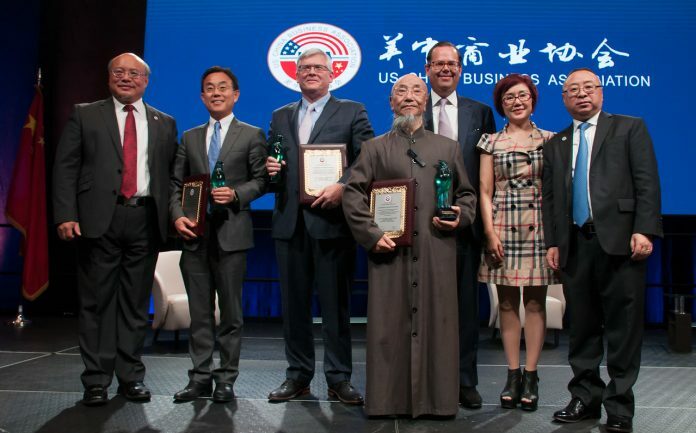 As a nonprofit organization, the US-China Business Association was established at the initiatives of prominent political and business leaders from China and the United States. 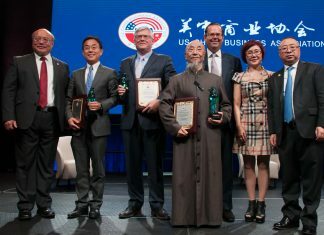 The US China Outstanding Contribution Award was an initiative of prominent and visionary Chinese and Americans who are gathered in support of friendship, and devoted to the promotion of peaceful co-existence and development. The award is conducted and supervised by the US China Business Association in a fair and just setting to recognize distinctive figures from both countries. The US China Outstanding Contribution Award is free from the influence of governments, political parties, organizations, media or public opinions in its process of nomination, selection, voting and confirmation. The event plays a positive role in enhancing friendship and promoting bilateral exchanges between China and the United States. In 2010, the 1st US-China Outstanding Contribution Award Ceremony was successfully held at Jiaotong University in Shanghai. 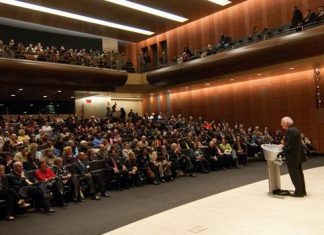 The award winners include Dr. Henry Kissinger the former U.S. Secretary of State, Maurice Greenberg the famous economist and godfather of finance; Huang Yongyu Chinese artist and etc. 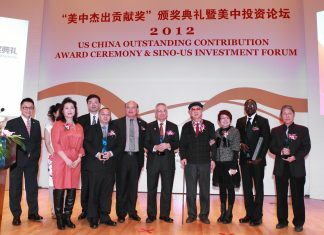 In 2012, the 2nd US-China Outstanding Contribution Award Ceremony was held at the American Study Center at Fudan University. Award winners are Jimmy Carter, Jackie Chan, Roel Campos, Yang Zhiguang, Elon Musk and etc. In 2014, the winners of the 3rd US-China Outstanding Contribution Award are Zbigniew Brzezinski, SIAS International University, Shepherd’s Field Children’s Village, Pan He, Yao Ming and so on. We recognize the following distinguished group who have made great achievements in their fields of professions and unrivalled contribution to Sino-US relations and friendship. 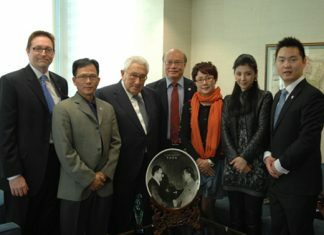 The US-China Business Association received congratulatory messages from the Carter Center and Kissinger’s office. The US-China Business Association also received a letter from The George H.W. Bush Library, expressing his heartfelt thanks to honor him with the Award.